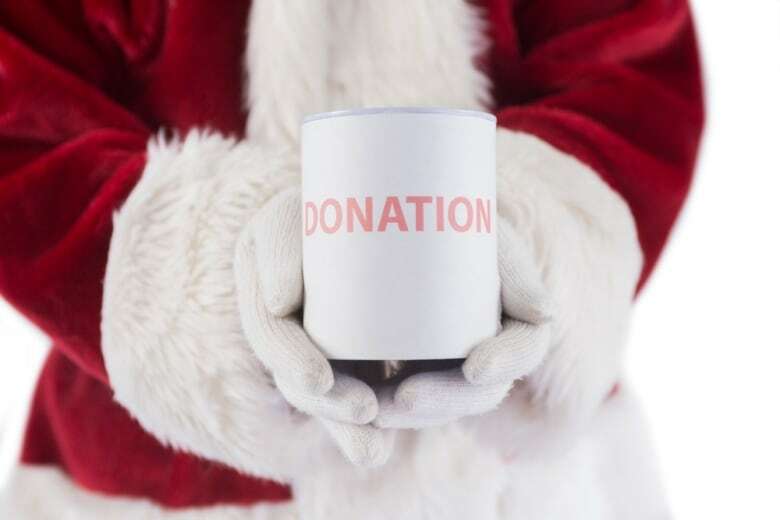 Charities always see an uptick in donations during the holiday season. This year, much of that giving spirit is being directed at the global refugee crisis. "Most charities, between now and the end of the year, many will get a quarter of their donations at least, sometimes a third," said David Morley, CEO of UNICEF Canada, which works with children in war zones and refugee camps to provide essential items, food, medicine, education and trauma counseling. "People are always generous at this time of the year and I think for us at UNICEF, with the crisis facing Syria's children, that's what we'll be focusing on, and we think people will be generous." Kathleen Kahlon, spokeswoman for the Canadian Red Cross, said it's too soon to say how the crisis will affect fundraising efforts, but she expects Canadians will open their pocketbooks for refugees this Christmas. 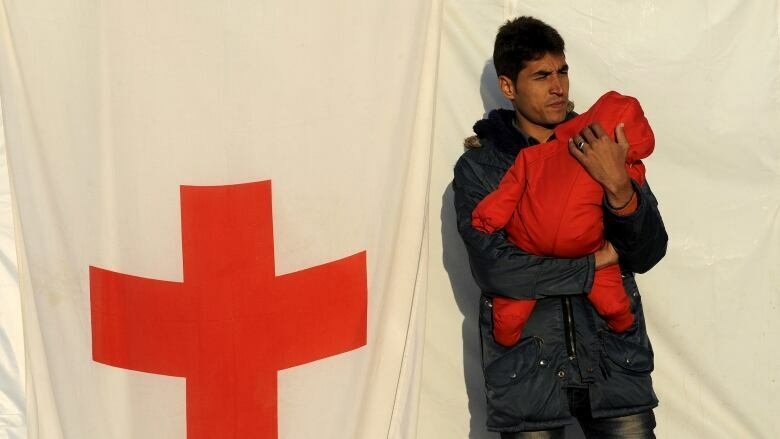 The Red Cross has issued fundraising appeals for its work with refugees internationally and those arriving in Canada. "The refugee crisis has definitely led many Canadians to reflect on their own lives and what's important to them," Kahlon told CBC News. "That, coupled with the fact that Canadians have always been extremely generous during times of international and national crisis, I would expect that we could see a surge in donations." Because holiday donations are so important for charities' budgets, many will reach out to people this time of year with Christmas-themed campaigns and charitable gift options. UNICEF offers survival gifts on its website. 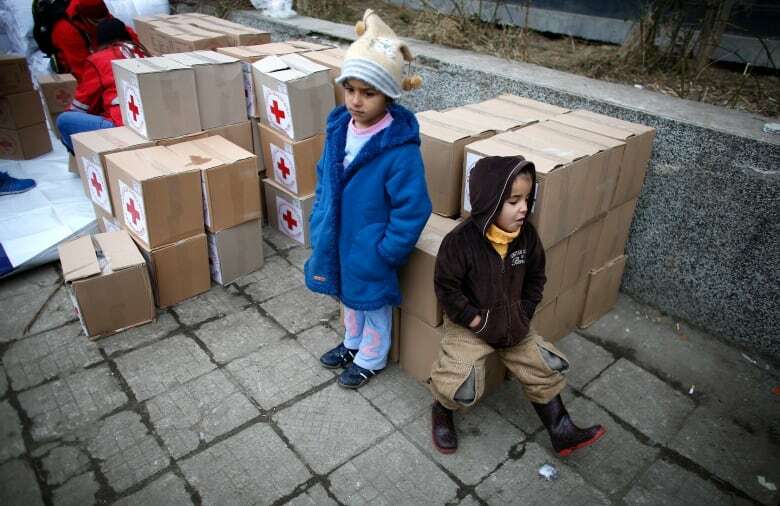 People can choose from various items or packages for refugee children, such as baby blankets or measles vaccination kids, each of which comes with an e-card or a paper card that you can send to your loved ones to let them know you made a gift in their honour. The UN Refugee Agency has a similar gifts campaign. The Red Cross also has Gifts For Good, which features items for domestic and international programs. For $100, Canadians can buy a set of winter clothes for families living in refugee camps. 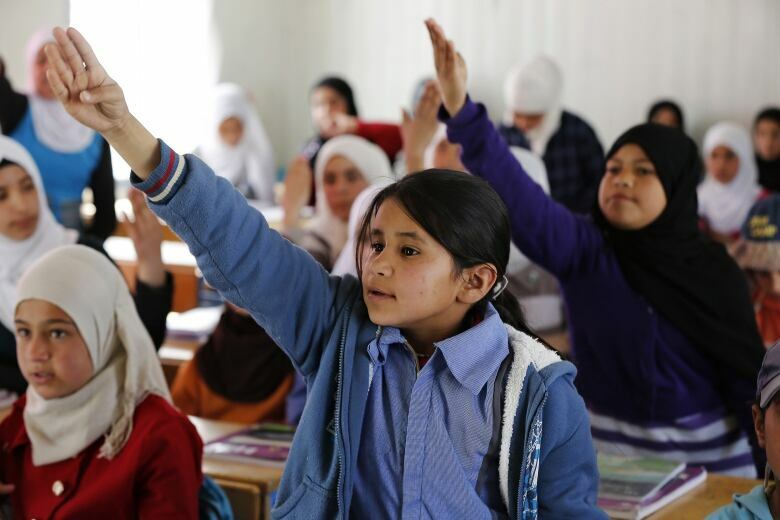 In World Vision's gift catalogue, you can donate $50 in someone else's name to support Syrian refugees. UNICEF will also be launching a campaign where people can simply text them the word "Blanket" and automatically donate $10, the cost of a winter blanket to be distributed at a refugee camp. Canadians are also responding to the crisis through the private sponsorship of refugees. Peter Goodspeed is a volunteer at Lifeline Syria, an organization that helps recruit, train and assist individuals and organizations looking to sponsor refugees in the Greater Toronto Area. He said people are sponsoring families through their schools, churches, condominiums, workplaces and more. "The public response has just been incredible and we're still getting people signing up groups to see what they can do," Goodspeed said. "The sponsorship groups are coming from just about everywhere." In Kings County, N.S., two Baptist churches have teamed up to form the Centreville and Aldershot Refugee Sponsorship, which is raising funds to sponsor a Somali Bantu refugee family of eight, set them up in a fully furnished home and help them in the difficult years ahead. As a part of its fundraising, the group has issued what it's calling "the Christmas money challenge." "We're asking people to forget the whole Christmas gifts thing or to donate at least part of their money towards the refugee fund," fundraiser Anne van Arragon Hutten, who came up with the idea, told CBC News. "It'll make all the difference in the world. People spend a fortune on Christmas gifts, and most of it's stuff they don't need." Other Canadians are diverting funds from personal endeavours to help refugees. In Toronto, a young couple cancelled their big wedding to sponsor a family. A Calgary couple put the money they'd saved for home renos towards the cost of sponsoring a family. A Canadian blogger, who cancelled her dream vacation to help refugees, has encouraged others to follow suit. "I want to appeal to you who are reading this now, to cut back on that delicious daily latte, pack lunch for a week instead of buying it, or whatever other luxury you can sacrifice, in order to help these families that are dying by the hour; many due to the cold weather that is rapidly approaching," wrote Fariha Naqvi-Mohamed on CanadianMomEh.com. With the focus on refugees this year, there is some concern other charities may get left out of the equation. Katharine Schmidt, executive director of Food Banks Canada, said she isn't sure what effect the crisis will have on the fundraising efforts of charities like hers, but she hopes Canadians have enough holiday spirit to go around. 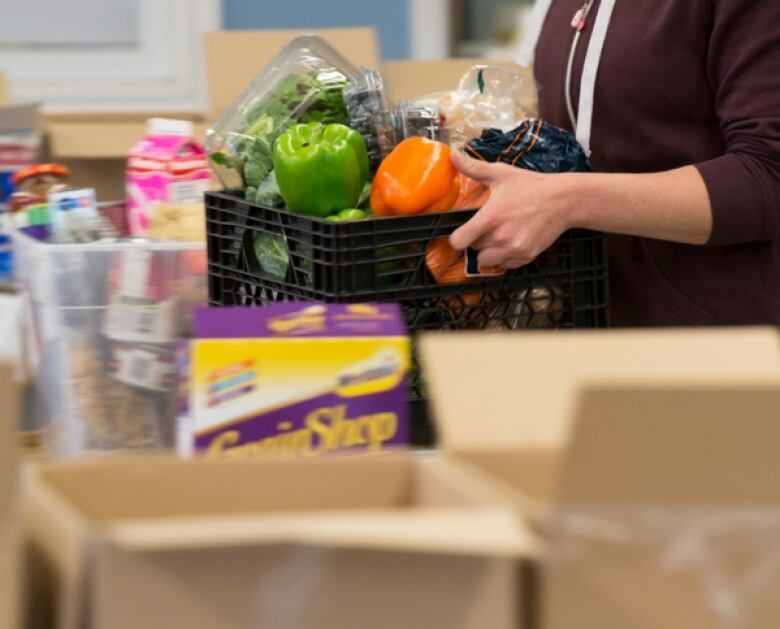 Food bank usage has been on the rise in Canada since the economic downturn, and food banks rely on holiday donations and food drives to stock up for the year ahead. "We know that Canadians are incredibly generous and it is our hope with the current situation and Canada receiving an influx of refugees that Canadians will be even more generous, that they will continue to support the work of the charities that they believe in, and for some of them, maybe even be able to dig a bit deeper to be able to support the current reality of what's happening," Schmidt said.